The U.S.-Arab Economic Forum strives to bring together corporate leaders and policy makers to create shared opportunities and strengthen U.S.-Arab relations. With a focus on business and economics, our objective is to initiate reciprocal partnerships to promote economic growth and integration, free trade, entrepreneurship, public/private partnerships and a modern, innovative and competitive society. The first U.S.-Arab Economic Forum held in Detroit, Michigan in 2003, brought together prominent leaders such as former U.S. Secretary of State Colin Powell, Saudi Arabia’s foreign minister Prince Saud al-Faisal, and Commander in Chief of the Bahrain Defense Force, Crown Prince Shaikh Salman bin Hamad Al-Khalifa. The forum addressed issues regarding cultural sensitivities, developing economic partnerships beyond energy, building on technological innovation, and youth development and education. In 2006, the second U.S.-Arab Economic Forum in Houston, Texas, drew distinguished guests such as U.S. Undersecretary of Public Diplomacy and Public Affairs Ms. Karen Hughes, Chairwoman of the Arab Women Council H.H. Sheikha Hissah Al Sabbah and Chairman and CEO of ExxonMobil Corporation Rex Tillerson. – attendees include: Foreign Minister the Kingdom of Saudi Arabia H.R.H. Prince Saud Al-Faisal, Chairman and President Export-Import Bank of the United States James Lambright and President and Kingdom of Bahrain Minister of Foreign Affairs H.E. Sheikh Khalid bin Ahmed Al-Khalifa. Houston — Arab American leaders pledged to promote greater interaction between the United States and the Arab world at the close of the U.S.-Arab Economic Forum in Houston June 28. Forum directors announced three new initiatives aimed at increasing person-to-person contacts between Americans and the people of the Middle East. 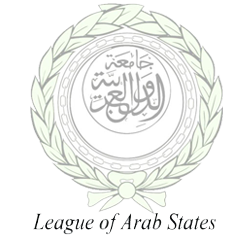 The U.S.-Arab leadership program will take 1,000 young American leaders to the Arab world each year in an effort to foster a first-hand understanding of the region and its people.